INFOWORKS ICM 9.0.1 : the first software of its generation to allow modelling urban and river catchments in a single model. Geomod > News > Water modelling > INFOWORKS ICM 9.0.1: Now available! INFOWORKS ICM 9.0.1: Now available! INFOWORKS ICM 9.0.1: What are the new functionalities and the enhancements? 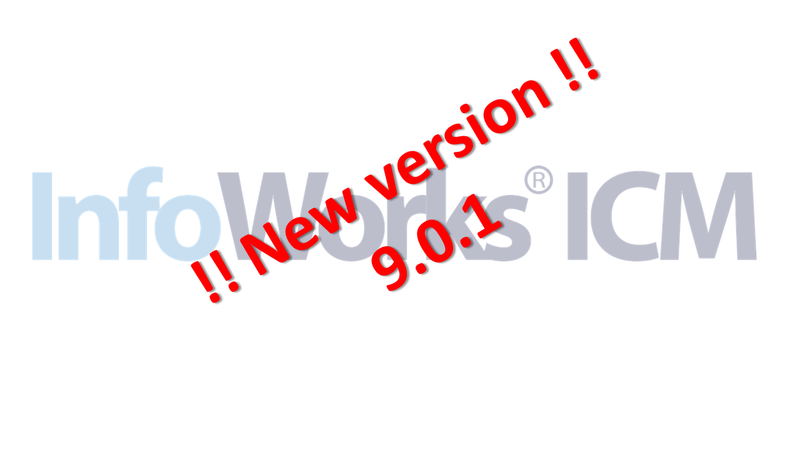 For the ones who already installed the version 9.0.0 of InfoWorks ICM, we advise to upgrade it to the version 9.0.1. Here is a resume of the new features and enhancements of the version 9.0. New user-defined water quality process type. For more details, you can contact our technical support service via hydro[at]geomod.fr or consult the French page here.